BOY London United Boy Couture Standard Long Sleeve Tee, when yew start feelin it yer gonna look super dope. 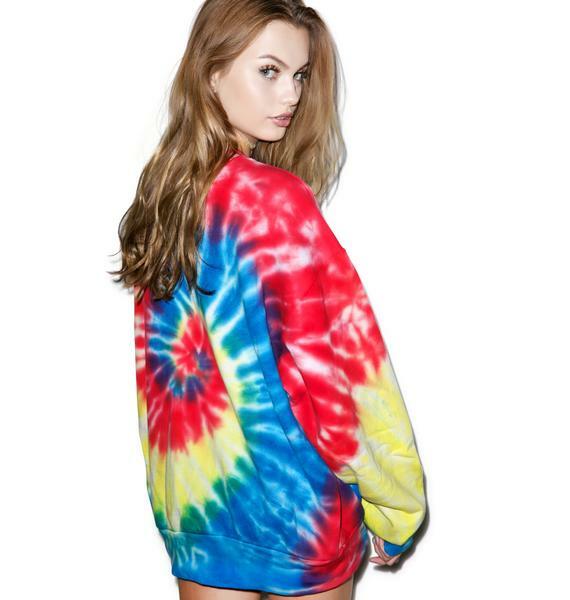 This sikk top is gonna make ya feel alright with its amazing all over vibrant tie dye. Featurin a cool relaXXXed fit and a large graphic stripe BOY LONDON logo creating the sickest vibe to trip with. With a super soft material, crew neck, banded trim and long sleeves this comfy BB is the ultimate to look super trippy in.